April 8, 2017, may have served most Indians the unwelcome news on job visa application to the U.S. when the United States Citizenship and Immigration Services (USCIS) released the information about a temporary suspension of the H-1B visa applications. Experts have strongly advised that there are similar options to gain admissions into the United States as an employee. 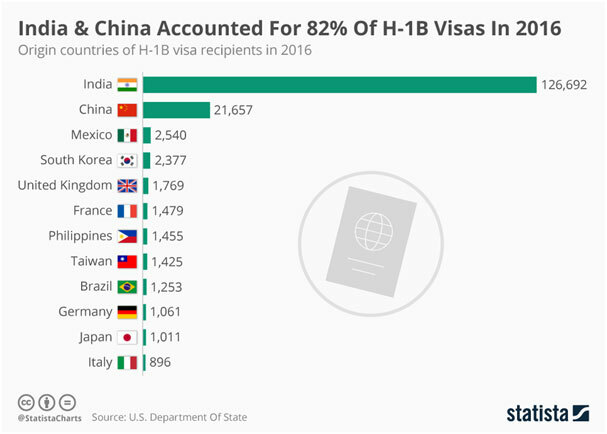 Reports reveal that the visa suspension mostly affected the Indian population as H-1B petition records reveal that Indians are responsible for about 70% of the total revenue received in recent years by the USCIS. While some had expected a U-turn on the H-1B visa suspension by the USCIS, the temporary status was officially upheld 15 days later when President Trump signed an executive order in a campaign for “Buy American, Hire American” policy, pending a proper scrutiny and revamp on the H-1B visa entry scheme. H-1B visa is a work entry admission into the United States based on employment given by a company in the United States. H-1B visa is issued to temporary workers and categorized as a nonimmigrant visa according to section 101(a) (17) (H) of the United States Immigration and Nationality Act. This law permits companies in the United States to employ workers in some vacancies from foreign countries. In processing or applying for H-1B visa, the employing company sponsors all expenses required to bring the employee to the United States, among other obligations while the worker is in the United States. The H-1B visa permits multiple entries while also allows the employee to remain in the U.S. for a period of 3 years, which can be extended up to 6 years, i.e., extra three years, so long as the person remains employed by the sponsored company or another in the US. Over the years, this mode of entry (H-1B visa) into the U.S. has helped many professionals in India to experience a wider practical experience, if not giving them the quality of employment they never had. 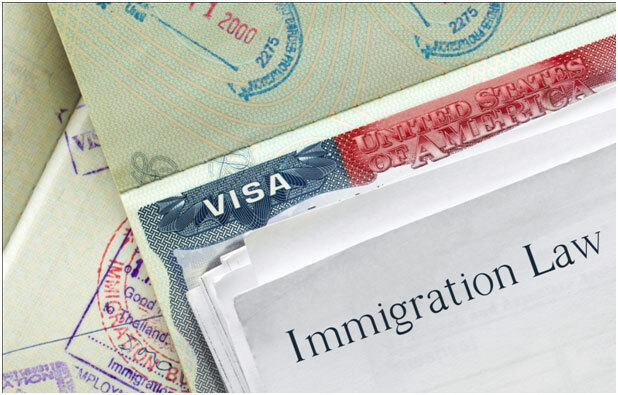 Reports have it that petitions for H-1B visa continued to increase over the years, reducing the chances of eligible applicants for the visa, while also forcing an increase in the number of H-1B visas. This scenario of petition volume against approvable quota forced a lottery scheme on qualified applicants in a bid not to exceed the number of available H-1B visas. Sequel to the H-1B suspension, most Indian workers who need H-1B visa thought that the dreams to extend their expertise into a different market, perhaps, more challenging one is ruined or equally suspended. This thought or mindset is not the case. Experts are vigorously saying that other options for nonimmigrant entry into the United States with work permit – the L1 or EB-5 visa. L1 visa is a work entry admission into the U.S. that facilitates the transfer of a foreign worker within a company to the U.S. branch for thecontinuation of his/her employment by the same office. This visa only supports employees with specialized knowledge, managerial or executive role. On the other hand, an EB-5 visa is an employment-based entry visa where the applicant is offered the eligibility to become lawful permanent residents of the United States. The EB-5 requires the applicant to invest a certain amount (at least $1,000,000) into a business in the U.S. And the proposed business for EB-5 visas will employ at least 10 Americans in a targeted employment area (TEA). With the availability of L1 and EB-5 visas, workers in India can continue with their quest which can be achieved with the H-1B visa. This goal is possible by a closer look at the similar advantages and requirements of the different visas serving as the alternative. Educational qualification required Must have at least a Bachelor’s degree, or higher. No educational degree is required. Rather a specialized knowledge as alleged by the petitioning company. No educational degree is required. Employer Eligibility Any United States based Company. An employee may also be in any positionor a new employee. Only multinational companies are qualified for this application. And the alien to be transferred must be currently employed by the company for not less than one (1) year. The applicant is the investor and may require information about his/her locally existing company. Labor Condition H-1B visa holders are required to apply for Labor condition before they are permitted to work. This, however, calls for additional fund and hassle. L1 visa holders do not need to apply for labor condition. Not applicable for EB-5. Employment for spouse and family members Spouse and descendants are required to get approval from USCIS. L2 visa holders (spouse) have the ability to acquire Employment Authorization Documents (EAD) instantly. Not applicable. Duration of Stay Threeyears and extendable to 6 years. Seven years for L1-A and five years for L1-B. No limited duration provided the proposed investment is completed. Though, nonimmigrant workers with pending petitions for a permanent residence are eligible to remain in the U.S. as long as their appeal is waiting for approval. However, this regular demand by non-immigrants does not affect the USCIS’s basis for H-1B visas. And this same condition applies to applicants for L1 visas. An EB-5 visa extension can only be required when the alien still need time to initiate his/her investment. Though, permanent residency is issued once the investment is completed. 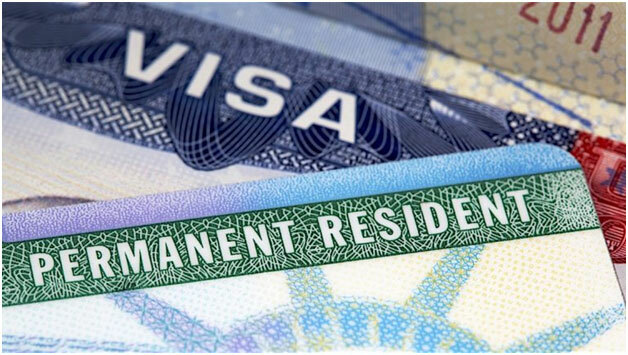 For H-1B, visa duration may be extended for another three (3) years at the end of the first visa period. After which the applicant will not be eligible for a further extension. But permanent residency would be welcomed. And for L1 visas, applicants can only qualify for another L1 visa if they travel abroad and spend at least one (1) year working with the company. Though, the person is eligible to file for permanent residence if he/she so desires.